Whether you are already an enthusiastic of Federico Garcia Lorca or have yet to discover this talented Spanish playwright, don’t miss out on the upcoming representation of his final masterpiece, The House of Bernarda Alba, in Manchester. Performed from the 3rd February to the 25th February at The Royal Exchange Theatre there is still time to book your tickets. The Royal Exchange Theatre and Graeae Theatre Company co-production will transport you to the first half of the Spanish 20th century. 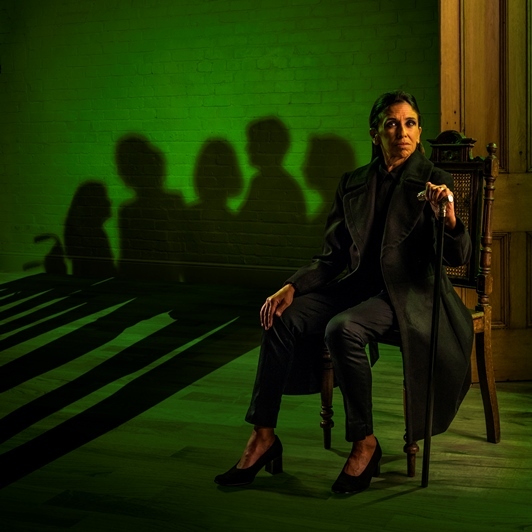 The story presents Bernarda Alba (Kathryn Hunter), a dictatorial matriarch full of rules and restrictions for her 5 daughters. He husband is dead and she refuses to allow her daughters any contact with men who might bring them to ruin. That is, except for one daughter, Angustias, whose local suitor is deemed appropriate due to his wealth. As the wedding approaches, the daughters become more defiant and we observe a dark but comic tragedy fueled by opression, tyranny, jealously and a struggle for freedom. Lorca was from Granada, a place with which he felt affinity all his life, a�?if by the grace of God I become famous, half of that fame will belong to Granada”. If you are inspired by Lorca’s The House of Bernarda Alba to improve your Spanish and make a visit to Spain, then there is no better place to explore than Granada, home to the Alhambra and a number of Lorca museums. Spanish courses in Granada. Cactus also runs 5 week and 10 week evening Spanish courses across the UK. For those based in London there is also a play in both Spanish and English showing at the Cervantes Theatre in the month of February. Showing from 1st to 18th February “The Judge of the Divorces…y Otros” is an adaptation of two Entremeses (short plays) by Cervantes, featuring some of Shakespearea��s well-known characters, as an homage to the 400th anniversary of the deaths of these two geniuses of universal literature. Next Next post: February is Italian Month!